The Glenview Ice Center along with twenty other Chicagoland Basic Skills ice rinks have been invited to participate in the Hilton HHonors Skate America Smucker’s Ice Skating Spectacular at the Sears Centre in Hoffman Estates on Sunday, October 26 beginning at 7:30 p.m. Skate America is a world-class figure skating competition that will be held October 24-26 and will feature competition in ladies, men’s, pairs and ice dance. It will end with an exhibition by the best skaters from the competition. Twenty Basic Skills rinks in the Chicagoland area had the privilege of selecting skaters to participate in one of two production numbers during the exhibition. 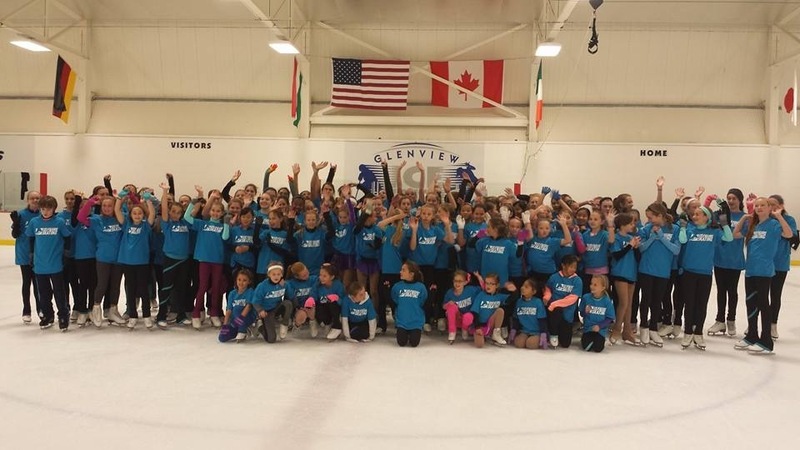 The Glenview Ice Center selected eighteen skaters, including the following members of the Glenview Blades teams: Meghan Blomberg, Peyton Bond, Katherine Hinrichs, Karin Olson, and Eileen Wolff.